The Parkhead club have been running the rule over AA Gent forward Yassine El Ghanassy in recent weeks. Celtic have been tracking AA Gent forward Yassine El Ghanassy and may yet launch a bid to bring the young talent to Glasgow. The 20-year old forward, who is considered to be a burgeoning talent, has been watched by a Celtic scout in at least two matches this season and the player is aware of the club’s interest. 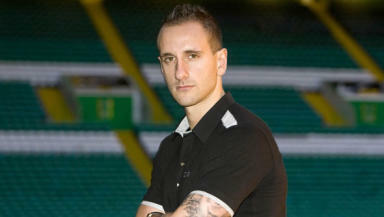 John Kennedy, the former Celtic defender who was forced to retire through injury, is now working as a scout for the club and was sent to run the rule over El Ghanassy. Kennedy is thought to have taken in Gent’s Champions league qualifying round defeat to Dinamo Kiev and the recent league encounter against KV Kortrijk, in which the player scored his fourth league goal of the season. El Ghanassy has made himself a regular starter for the Belgian side this season and has already been the subject of much interest. Belgium and Morocco both wanted the player for their international squads with the La Louviere-born player deciding to reject the advances of the Atlas Lions. Though uncapped, El Ghanassy has been called up to the Belgian national squad twice and has been a regular player, and goalscorer, for the Under-20s. Celtic have not made any firm offer for the forward, who can play as an out and out winger on either side of the pitch. Gent have recently sold two of their squad for a combined fee of 10 million Euros and are in a position where they can ask for a substantial fee for a highly rated player whose existing contract runs until the summer of 2013. El Ghanassy is represented by the same agent as Celtic’s summer signing Beram Kayal. The player’s representative, Dudu Dahan, said that his client was an entertainer and that he would be happy to recommend Celtic if the interest was firmed up. Additional reporting by Grant Russell.